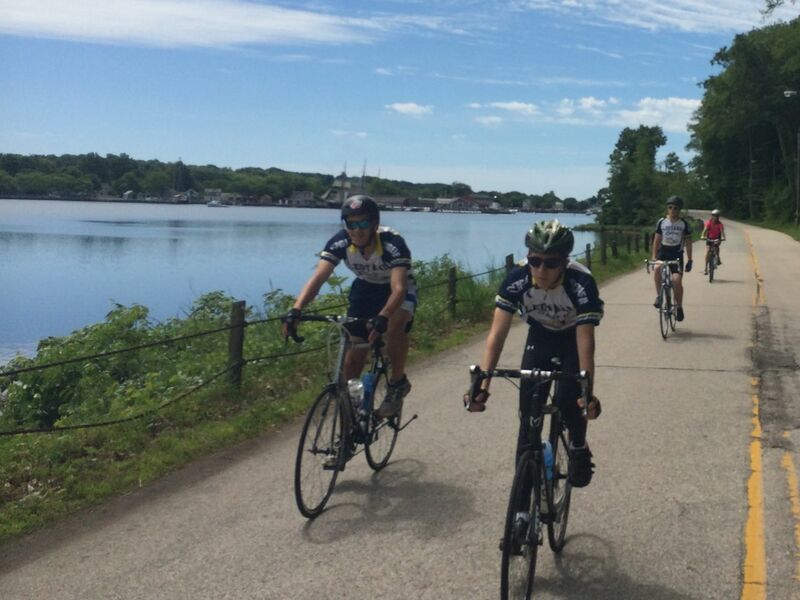 We set out to ride a 42 mile loop with the Pequots. It was a fabulous day on the road. The weather was just perfect! Alex hit a pothole and his back tire went pretty far askew. We loosened his breaks and had to head home from Rhode Island. Since we were cutting things short we road really hard the last 10 miles, including the final hills. In the end it was a nice 30 mile jaunt. 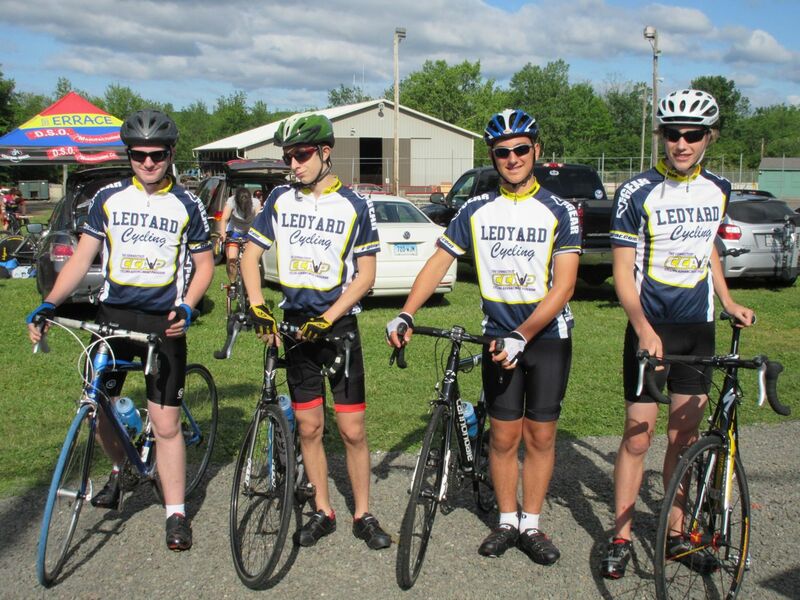 Turns out the LHS Cycling Team finished in second place at the CT State Team Time Trial Championships! They one an $80 tune at Niantic Bay Cycling. Congratulations! Xavier took it on himself to do a little solo hill training yesterday. He rode Spicer, Rose and Avery Hills. Well done X! Congrats to Alex, Steven, Xavier and Gianni! They rode a fantastic TTT at the state championships last Sunday. They averaged 23+ mph on the 7.5 mile lead-up to the big hills (a record performance for them). The hills and finish turned into a battle with CCAP's junior development team. At the line they finished on the podium in 3rd just behind the CCAP junior development squad. The team that won was CCAP's junior, travel race team which has years of experience racing. They actually did so well that they beat all the pro men's teams, as well. We are super proud of the boys for almost hanging with these two all-state teams! Of the 18 high school cycling clubs in CT, we were the only school to field a team of 4 strong riders for the TTT. Not bad for their second year together. The best part of the experience was seeing the hours and hours of team training pay off. While they only had to finish with 3 riders at the line, all four boys finished together; a true sign of teamwork and professionalism! We had a nice group today of 8. 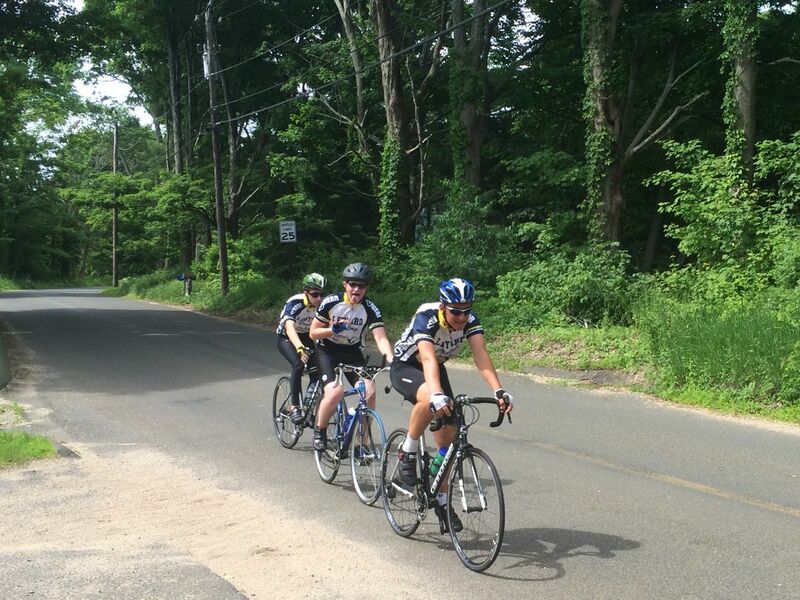 Our 4 TTT racers trained hard pacing at 21+ mph and the rest of us followed, practicing organized pace lining. We are ready for Sunday! Well things are shaping up really well for June!! We have 3 beginner riders working regularly on skills development and fundamentals. Their progression is so good that they are able to contribute to pace lines with our 4 experienced racers; we can all ride together and have a blast! The 4 experienced riders have been training hard for the CT Team Time Trial Championships this Sunday. They are looking really good! After this Sunday, we’ll move from our basic skills and TTT focus to doing plenty of fun group rides for the rest of the month. Exciting news….Mystic Cycle Centre donated a dozen blue water bottles. I’ll bring a full cooler of cold water bottles to all of our rides from now on, so there is no need to send a bottle with your child. If you are a Facebook or Twitter user, kindly take the time to like/follow MCC as a show of support for their generosity. This week we will only be riding together on Wednesday. I’ll go over the TTT plan with the racers on Wednesday and we’ll all get together next week for more group rides. Non-racers feel free to get out on those bikes over the weekend to keep developing your form. If a parent has access to BJs or whatever and would be willing to donate to the riders, I am looking for a big tub or 2 of powdered Gatorade to use in the bottles. Things will be heating up. We loaded up three of the four TTT racers and Megan in the van and headed to Durham, CT today. Megan and Mr. Jannke rode a picturesque 15 mile loop with some nice hills. The 3 racers did a little warmup and then rode the TTT course hard (same one that they will race next Sunday). They averaged 21+ mph for the first 7.6 miles and then hit the hills. Their final average dropped just below 19 mph, but their VAM (measure of vertical performance) was the highest ever. We need to get Steven back out there to see how they perform as a team before the LHS Cycling Club's first ever TTT. Exciting! All 5 of us did a nice pace line home, with Megan enjoying her pull at the front and the overall team pace and spirit high. Xavier taking a break as they successfully climbed the big hills and stayed intact as a group. This led to a fast downhill and strong group uphill finish. Not bad for the first time. Missing X yesterday, the 3 other boys set out for a shorter faster TTT training session average 21.7 MPH over the 7+ miles and finishing on a hill. Mr. Jannke rode with the new riders. 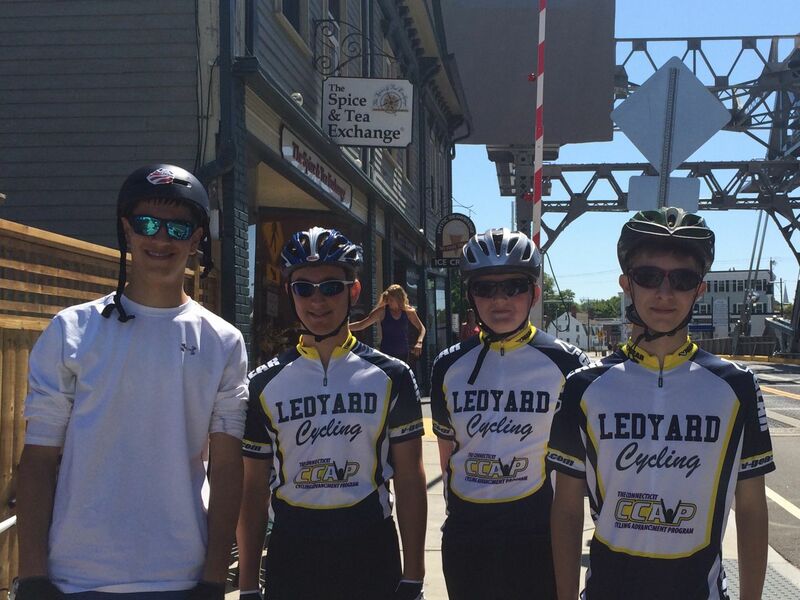 We ended with a fun loop through Ledyard Center. Below is just the TTT leg of their ride. Yesterday was Mrs. Froh's birthday! We broke into two groups. 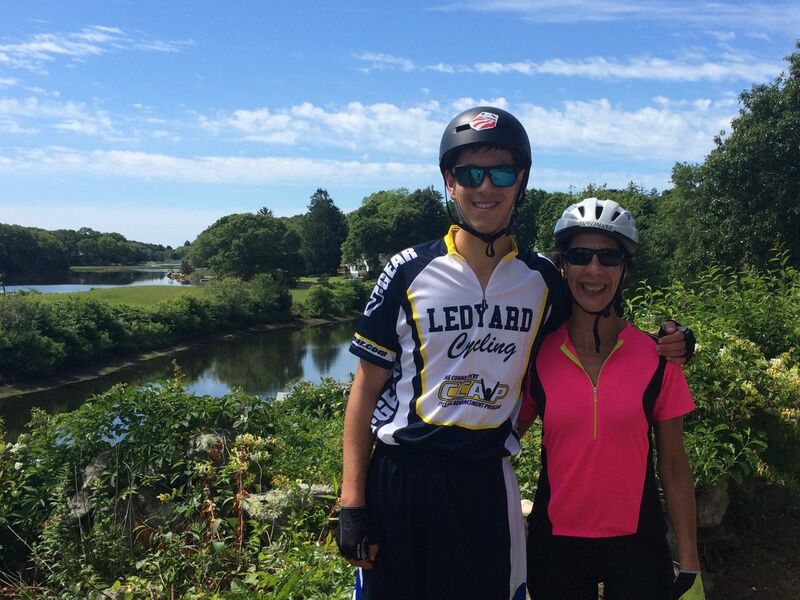 Megan and Mrs. Froh did the hilly Ledyard loop below, while the 4 experienced boys trained for the upcoming team time trial at the CT Time Trial Championships. Their average speed was nearly 20 mph. Not bad! Today was a huge day for LHS Cycling as we welcomed our second new rider in three days, 6' 4" Simon! Trent, Simon and Mr. Jannke rode a quick route to Al Harvey Rd, while Alex and Gianni rode a team time trial training route. After we timed their splits and finish we intended to head home, but the call was for ice cream, so we rode into Mystic to enjoy Drawbridge Ice Cream! Overall, they rode 30 miles and finished it off with a training session on grass to help Simon with team riding fundamentals.